There is one toy any boy growing up in the 90s would have gladly died for. 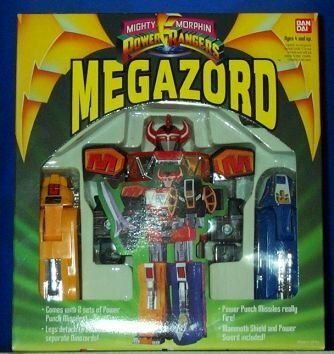 I am of course referring to the Mighty Morphin Power Ranger Megazord Deluxe edition by Bandai. In a stroke of pure parenting genius, my mother promised it would be mine if I mustered the courage to jump into the pool at my YMCA swimming class. I still remember the jealous gasp my brother made when my mother popped the trunk in the YMCA parking lot to reveal the glorious toy. I remember how the zord stared at me through the plastic window. And the sparkle the toy made from the glint of the morning sunshine. Those fearsome robotic eyes. The smooth plastic finish. I wanted to make love to that toy. “You’ll have to jump first,” my mom said. And boy, did I jump.